I’ll never forget that breakfast. All nine new Pi Kappa Phi staff paid very special attention to laying out our shirts, ties, suits and the shine on our shoes the night before breakfast, and we were like anxious little kids trying to sleep on Christmas eve. Visions were dancing through my head about one of my fellow new staffers winning a golden ticket from Willy Wonka, and he was taking me + 8 others with him to a breakfast with chocolate pancakes… ok maybe I just wanted chocolate pancakes for breakfast, and it wasn’t Willy Wonka, but that breakfast sure left an impression on me (and our breakfast host was truly a magical person). In those first weeks of our fraternity staff training we were destined to dine with a legend. His demeanor and style were classic southern gentlemen. He imparted eternal wisdom on "Why life was too short to drink cheap beer”, and he impressively offered a diverse mix of nearly 100 quotes from memory. He shared and modeled the behavior for numerous world class attributes of high performing people during their career. Taking notes was not optional — it was paramount. My breakfast with Durward Owen (Pi Kappa Phi, CEO Emeritus) was one of the fond early memories of summer training. He challenged me to think, he challenged me to be like those successful people he spoke of. It left a deep impression on me I still carry today. Question 1) What are the two most meaningful experiences or gestures you learned from when joining the fraternity/sorority staff? Question 2) What are the small details you need to keep focused on in planning your summer training for new staff this month? The kind of work that you’d never compromise on. That you’d sacrifice a weekend for. You can do that kind of work at Apple. Something big. Something that couldn’t’ happen anywhere else. From breakfast with a legend, to receiving a letter on your first day of work, what themes will your new staff members be able to associate with your organizational culture? For me that breakfast with Durward Owen taught me two things I could expect about working for Pi Kappa Phi. 1. A vision of how I should approach each day on staff with style, character and world class attributes. 2. It told me how other team members would conduct themselves and pursue excellence by a choice. These small touches, like a breakfast or a note in the early days, make such a difference. So let me ask you again… What are the small details you need to keep focused on in planning your summer training for new staff? Have you put your best effort into planning your summer training yet? How we start often communicates who we really are. Are you making the new staff experience better? For summer training ideas and advice Woody can be reached here . Sorority recruitment counselors change lives. The women who volunteer and selflessly step into the role of guiding potential members through the process of sorority recruitment have the opportunity to generously, deeply, and lastingly change the lives of young women forever. How have you seen recruitment counselors change lives? 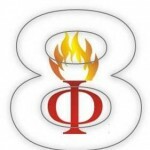 Here at Phired Up we have been working with fraternity and sorority recruitment for 10 years. We provide recruitment products and training for all members (Dynamic Recruitment & Social Excellence programs), recruitment coaching for chapter leaders (Dynamic Recruitment, M.D. ), research about fraternity/sorority recruitment, and now even recruitment preparation for potential members (iValU/weValU ). We have literally touched all aspects of the recruitment process on campuses all over North America. Almost. There is another group that we’re excited to offer resources for starting THIS YEAR! Later this summer we will be releasing a resource guide built specifically for your Panhellenic community’s RECRUITMENT COUNSELORS! This manual will include intensive training ideas, tools and worksheets. It also creates a structure for the RC’s interaction with her PNM’s throughout the week of recruitment. This will be a necessary tool for every Panhellenic officer and recruitment counselor. If you want more information about the RC manual or how you can purchase it for your community, E-mail KJ@PhiredUp.com . Here’s where we need YOUR HELP! We are collecting stories you have as college women, professionals, volunteers, or anyone who works with recruitment counselors for that matter. We want to hear about the amazing RC’s you have experienced, some of the relevant issues RC’s experience; we want to know about the fatal flaws of the RC training systems we are currently using. Literally, if you have an RC story you would like to share we want to hear about it! This is a call for everyone everywhere to share their story about being a recruitment counselor, about your recruitment counselor, or about training recruitment counselors. Please E-mail all stories, comments, or ideas related to recruitment counselors to KJ@PhiredUp.com . We want to hear it from you. Thanks for your help, and look forward to the new RECRUITMENT COUNSELOR resource later this summer! But each organization has unique strengths and challenges. How can culturally-based groups (and the people who support them) know where to focus their energy to ensure they have a system to attract the right quantity of high quality members? Phired Up is proud to announce the release of a CHAPTER RECRUITMENT DIAGNOSTICS TEST specifically designed for culturally-based fraternities and sororities (access the new diagnostics test here ). If you know of a culturally-based fraternity or sorority that desires to attract a higher quantity of high quality members, please share this new resource with them. This resource accompanies the previously released diagnostics tests (read about those here ). The new test for culturally-based organizations was designed and tested by the Culturally-Based Fraternity/Sorority Growth Task Force — read their consensus report here . How many fraternity/sorority chapters are there? How many campuses actually host fraternities and sororities? 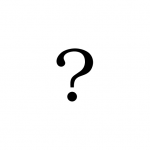 What is the fastest growing organization? What campus really has the largest Greek community? What regions of the country are growing fraternity/sorority fastest? How quickly are culturally-based groups growing? Where are they growing the fastest? How many campuses use a deferred recruitment process? Are campuses with formal recruitment or informal recruitment growing faster? Does housing actually effect recruitment numbers? Besides "we’re growing," what are the trends in fraternity/sorority recruitment/intake? What is the median amount of chapters/members involved with Greek life per campus in North America? How many new members joined last year? How many of them lasted at least one semester? Which fraternities and sororities are on which campuses? Do we have any record of local fraternities and sororities? How many undergraduate members are there (as confirmed by campus professionals)? Who is expanding/extending where? What campuses want new fraternities/sororities? What about professional fraternities? How many are there? What councils are they in? How can we better track INCLUSIVE fraternity/sorority data? Which campus communities are actually similar in size and growth trends? What market share does fraternity/sorority have on North American college campuses? Where are the largest chapters in the country? Deferred, delayed, open, structured, partially structured — where are these models actually in place? What months of the year are most members joining? Where is fall recruitment, spring recruitment, summer recruitment taking place? How many people are starting recruitment and being retained throughout the recruitment process? What is the average cost for formal recruitment? There’s a lot more we don’t know too, but those are some questions that we have. On a personal note, I’ve worked in the fraternity/sorority field for 12 years. I’ve spent almost all of that time focused on helping groups attract more members… and I don’t know the answer to ANY of those questions above with a high level of certainty. I want to (and feel like I should). I’m guessing others in our field might want to know those answers too. We probably won’t learn all those answers right away, but we’re going to at least get started. Will you help? We are asking all campus-based fraternity/sorority professionals to complete this survey . Please also push the colleagues you know to complete it too (peer pressure is the best!). Wouldn’t it be cool if every campus with a fraternity/sorority community completed this survey and we all got to learn from that data? We need your help to make that a reality. Please help us get this survey in the hands of the right people THIS WEEK!